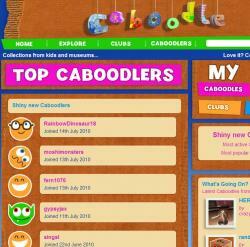 Hello everyone, take a look at the changes we’ve made to Caboodle. You’ll now be able to find who the top Caboodlers are. You’ll also be able to keep track of who’s trying to join one of your clubs by checking for a number in the tab to the right, and you can now look at all the cool tags that other Caboodlers have created. Get to the top of the Caboodlers list by creating as many caboodles as you can and winning favourite points. Go for it Caboodlers! Crawling around on Tman0_o's tabletop, a gang of little plastic critters were minding their own business, hanging out. Check out this brilliant set of Pokemon cards and stuff from acrisius1 and discover tins, cards and a cool close-up of Pichu.